It’s the beginning of November, and the chill is definitely in the air! The waiting game is on, knowing that at any time snow could begin to fly. The breeze is getting colder and you can feel that winter is right around the corner. If you’re lucky enough to own a wood burning stove, you know that there’s not much better than sitting in front of your stove, cozied up under a blanket. The burning wood smells so good, and there’s just something mesmerizing about the snapping flames. 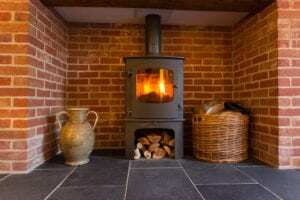 A wood stove isn’t going to heat your whole home, but if you’re looking for a supplemental heat source for a room or two, then a wood stove is a great choice. You can lower the thermostat in the rest of the house and keep those rooms warm and toasty, courtesy of your wood burning stove. This can offer a noticeable lowering of your heating bills, and who doesn’t enjoy a little more money in their wallet, right? Another way to save money with a wood stove is through the fuel. Depending on where you get your wood, it can be a very inexpensive way to heat your home. In fact, there’s usually someone who has a dead tree that they’re willing to get rid of just for the cutting and removal! If you’re willing to put in the work of cutting and stacking, you’ve got yourself a free heat source. Another good thing about your wood stove is that it can be vented right through your chimney. One thing to watch out for is overloading your wood stove. 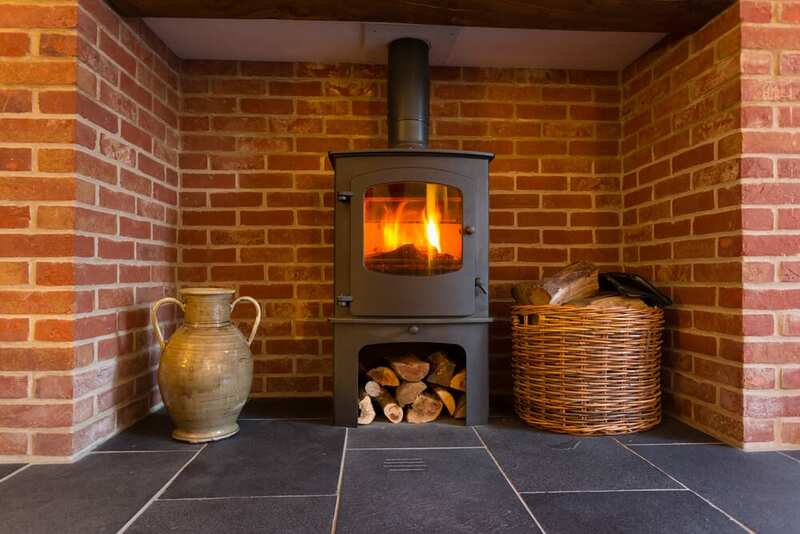 Putting too much wood in your wood stove can cause a dangerous situation in which your stove can become damaged and warped, and that can eventually lead to a fire in your chimney as the overheated gas from the fire flows up the chimney and causes the creosote to ignite. When chemicals and water vapor are released when wood burns, these byproducts flow up the chimney and out into the air. Some, however, end up condensed onto the interior of your chimney and form a material called creosote, which is extremely flammable. That’s why it’s so important to call Jiminy Chimney Masonry and Repair to come in and inspect your chimney and clear out that nasty creosote buildup. Not only will we check for creosote buildup, but we will also check for any other damage or blockage that your wood stove might have. At Jiminy Chimney, we’ve had over 30 years of experience in cleaning and inspecting chimneys and heating appliances, so you know you’re in good hands when you call to set up your appointment. We’ll make sure everything is clean and running well so that you can curl up and enjoy that crackling fire, worry free!